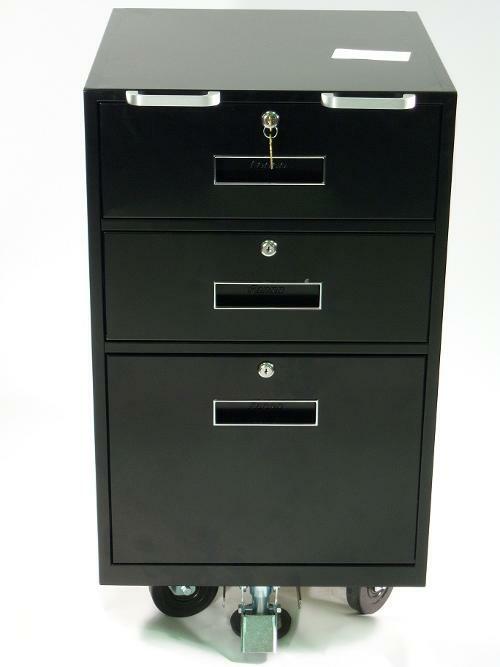 This mobile teller unit comes with two cash tray drawers and one cupboard with an adjustable shelf. Drawers and cabinet each individually locked. Choice of 16 finishes.